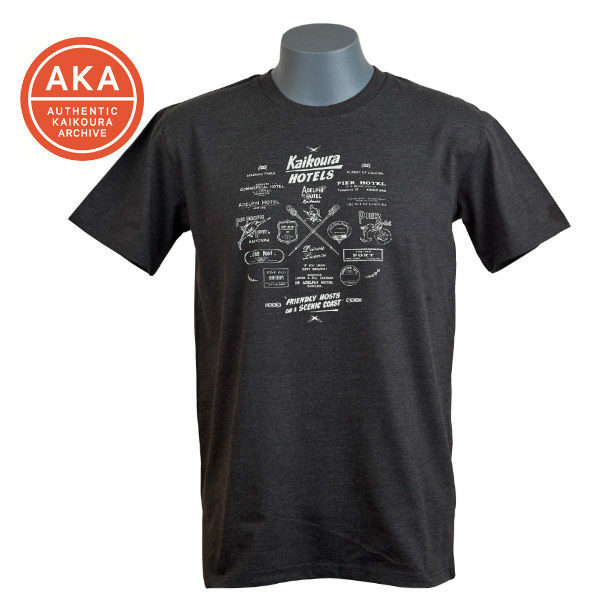 This series of products was inspired by the 2016 earthquake when Kaikoura lost two of its last remaining three hotels. 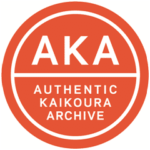 The hub of the social life of Kaikoura, these hotels tell many stories of the town’s social and commercial history. 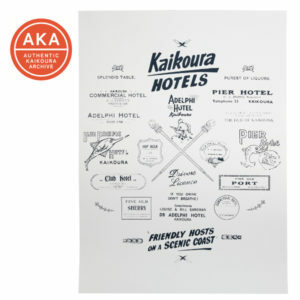 This graphic pulls together a number of the logos and marketing materials used over the years by the different hotels that once operated in Kaikoura. The only one that remains is the Pier Hotel, still standing proud near Kaikoura’s old wharf.